Check out this video to watch some special moments from our Master Class with Cicily Daniels here! 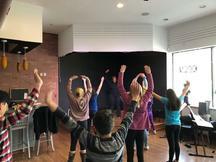 Cicily Daniels, right from the Broadway cast of Once on this Island at the Circle in the Square Theater, came to Mike Risko Music in January 2019, to teach a Broadway Master Class. 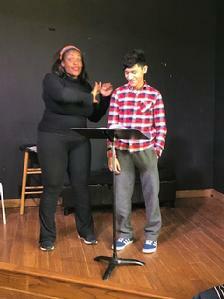 This class focused on voice and audition techniques. 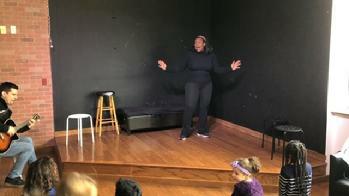 She worked with the participants on everything from projection, diction and song selection to how to present yourself on stage and not get nervous. Each participant had the chance to sing a song for Cicily and get feedback. 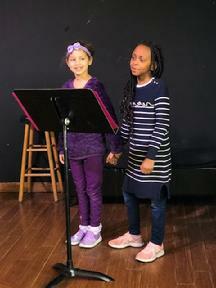 Most of the participants of this master class had been in our cast of Once on this Island Jr and had seen Cicily on Broadway when the cast went to see the show so this was an extra special opportunity. 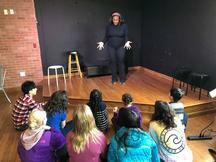 At the end of the workshop, Cicily sang "Mama Will Provide" from Once on this Island and the kids were thrilled. It was a great learning opportunity and lots of fun. About Cicily: Cicily Daniels is a native of Potomac, Maryland. 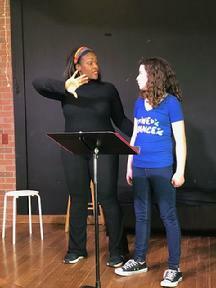 Her credits include Broadway: Once on this Island, Disney’s The Little Mermaid, All Shook Up, Rent; National Tour: A Night with Janis Joplin, The Gershwin’s Porgy & Bess, Caroline or Change; Regional: Freaky Friday (world premiere), Newsies, Hairspray, Ain’t Misbehavin’, Little Shop of Horrors, Into the Woods; TV & Film: Ugly Betty, Mozart in the Jungle, Boardwalk Empire, Across the Universe; American Gangster, Saturday Night Live, One Life to Live; Indianapolis Symphony Orchestra, Christmas Spectacular w/ Sandi Patty. Cicily has also appeared in numerous commercials, and recorded voice-overs for companies such as Visa, Kyleena, Ford Fusion, Cinnamon Toast Crunch, Covergirl, Time Warner Cable & EA Sports Active. Cicily is a graduate of Yale University, where she earned a B.A. 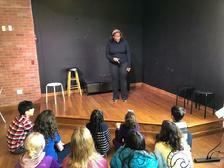 Theater Studies with a Performance Concentration.